Anyone who’s spent much time in church will know that disagreements happen. If those disagreements aren’t resolved quickly, they may soon become full-on conflict. Factions form. And the long term unity of the church is jeopardized. This can happen on different levels, whether it’s a local church or a whole denomination, as is presently the case in my own United Methodist Church. 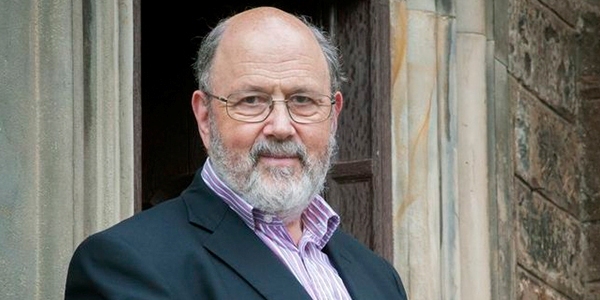 However a particular conflict plays out, the cultivation and maintenance of authentic church unity requires robust reflection on what constitutes authentic church unity, which brings me to N. T. Wright. Unity by itself can’t be the final aim. After all, unity is possible among thieves, adulterers and many other types. Those who commit genocide need to do so with huge corporate single-mindedness, as the Nazis showed when killing millions of Jews, gypsies and others. No: what matters is that Christians…should focus completely on the divine drama that has unfolded before their eyes in Jesus the king, and is continuing now into its final act with themselves as the characters. Bringing their thinking into line with each other wouldn’t be any good if they were all thinking something that was out of line with the gospel. The love that they must have is the love that the gospel generates and sustains. Their inner lives, which are to be bonded together, must be the inner lives that reflect the gospel. The ‘same object’ which they must fix their minds on must be the facts about Jesus the Messiah, and on the meaning which emerges from them (98-99, italics original). It should be clear that authentic Christian unity is never unity in name only. Authentic Christian unity can only be had when it is gospel-oriented unity. And that unity is bound together by love – but not just any love – gospel-motivated and gospel-oriented love. All that, of course, means that unity is only possible among those who have the same understanding of the gospel. And that further means that unity is achieved not primarily by talking about unity but by talking about the gospel. Only when we are deeply and passionately committed to the same gospel will we be able to work toward authentic Christian unity. Click here to get a copy of N.T. Wright’s Paul for Everyone: The Prison Letters. Dr. Matt O’Reilly is pastor of Hope Hull United Methodist Church near Montgomery, AL, a fellow of the Center for Pastor Theologians, and Adjunct Professor of New Testament and Pastoral Ministry at Wesley Biblical Seminary. Hear him on the So What? Podcast, connect on Facebook, or follow @mporeilly. “Failure to thrive” is a medical diagnosis for children who aren’t growing as they should. If you’ve ever taken a child to the pediatrician, you know about growth standards. Every parent is eager to see which percentile their kids are in. 75th percentile? We may have a ball player on our hands! Every parent gets excited when their kids are above average. Kids who are low on the chart are diagnosed with a condition called failure to thrive. It’s not a disease. It’s not a disorder. It usually has to do with environment. Maybe a kid isn’t properly nourished. Maybe he’s experienced some deep emotional stress or trauma that’s affecting his development. As a pastor, I can’t help but think how many Christians might – at one time or another – diagnose their devotional (un)health with failure to thrive. It’s easy to imagine. You’ve experienced the new birth. You’re excited. You’re growing in your newfound faith. Then a little time passes. Maybe you get out of the habits that fueled your experience of grace in the beginning. You don’t read the Bible like you once did. You haven’t gathered to worship with the church in a while. Maybe life has dealt you unexpected circumstances that left you struggling to hold on. You haven’t given up on following Jesus. But you sure wouldn’t say you’re thriving. It is undoubtedly true, that both poverty of spirit, and every other temper which is here mentioned, are at all times found, in a greater or less degree, in every real Christian. And it is equally true, that real Christianity always begins in poverty of spirit, and goes on in the order here set down, till the “man of God is made perfect (Sermon XXI). So if the beatitudes are intended to be taken in order, then perhaps we can think of them as a spiritual growth chart. And as you develop along the growth chart, you grow into a thriving follower of Jesus and a full experience of human life. Want to escape the failure to thrive diagnosis? Spend some time in the beatitudes. Immerse yourself in Jesus’ vision of flourishing. Poverty of spirit then, as it implies the first step we take in running the race which is set before us, is a just sense of our inward and outward sins, and of our guilt and helplessness. So the first step to thriving is understanding that we can’t thrive on our own. We are absolutely helpless. We need someone to do something we can’t do. 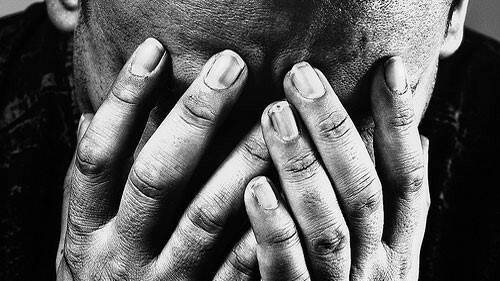 Now you may be thinking: If the beatitudes are all about blessing, why am I hearing so much about what a mess I’m in? Well, the blessing comes in what Jesus can do for people who are in a mess (and who know they’re in a mess). When our eyes are opened to our desperate state, he meets our poverty with the riches of the kingdom of heaven. He does for us what we cannot do for ourselves. He forgives our sin. He frees us from slavery. He reconciles us to God. And he graciously begins to reproduce his own character of holy love in us. When Jesus talks about the kingdom of heaven, he’s talking about the reality of the reign of God coming to bear on this world. “Your kingdom come. Your will be done, on earth as it is in heaven” (Matthew 6:10). The will of God is done on earth when human beings surrender their bodies to God’s purposes for them. And as more and more people surrender more and more of themselves, the kingdom spreads. And it will continue to spread until that day when Jesus returns to make the kingdom complete and perfect. Participation in that project is happiness. Not the shallow and fleeting emotion of happiness, but the deep and abiding happiness that comes with the knowledge that we are living into God’s best for us, even if our circumstances are not what we expected or what we may have once preferred. The path to that deep happiness starts with embracing our spiritual poverty. Put differently, ultimate happiness depends on absolute helplessness. For more on the beatitudes, check out the latest episode of the So What? Podcast. Dr. Matt O’Reilly is pastor of St. Mark Church in Mobile, Alabama, a fellow of the Center for Pastor Theologians, and an adjunct member of the faculties of Asbury Theological Seminary and Wesley Biblical Seminary. Hear him on the So What? Podcast, connect on Facebook, or follow @mporeilly. Easter has come, but it hasn’t gone. We are now several days into The Great 50 Days (or Eastertide), the period between Easter Sunday and Pentecost. It’s an important reminder that Easter is not just one day on the calendar, it’s a season. So, I’m continuing to reflect on the importance of resurrection. (In truth, the significance of resurrection occupies my thinking most of the year, not just this season.) The bottom line from my Easter sermon was this: “There’s no redemption without resurrection.” Here are a couple of reasons that’s true. If there is no bodily resurrection, sin wins and God loses. God did not design human beings to die. All through scripture death is the consequence of sin. From Genesis 2:17, “for in the day that you eat of it you shall die,” to Romans 6:23, “the wages of sin is death.” We are bound to decay and death because of sin. So we can infer that if God intended human beings obey the command to not sin, then God did not design human beings to die. That was not his intent. It was not the plan. Sin and death are the twin enemies of God, his people, and creation as a whole. I wrote earlier this week on why dying and going to heaven is not enough. And this reflection reinforces that point. If the body dies and we find ourselves conscious in heaven (as scripture teaches), and if that’s the climax of salvation (which scripture does not teach), then sin wins and God loses. Why? Because going to heaven is another way of saying the body is dead. An essential part of our human existence remains in the grave. Dying and going to heaven does not mean we are more alive than ever – despite what D.L. Moody may have thought. Dying and going to heaven means we are dead. Now let me be clear: I am not denying that believers enter the presence of Jesus when they die. I affirm that wholeheartedly. What I am saying is that heaven should be seen the way scripture portrays it: as a period of waiting for bodily resurrection. Only when the body is raised will any of us be more alive – and more fully human – than ever before. That’s why there’s no redemption without resurrection. Sin is our enemy. Death is the consequence of sin. If we die and remain dead, the enemy wins and God loses. That’s why scripture spends so much time on the past resurrection of Jesus and the future resurrection of believers. That’s why Paul says, “the last enemy to be destroyed is death” (1 Cor 15:26). And that enemy is destroyed when Christ returns to raise the dead. Only “then will the saying that is written be fulfilled, ‘Death has been swallowed up in victory'” (1 Cor 15:54). Note the future tense verb. The dead in Christ are still dead. The saying has not yet been fulfilled. We’re still waiting on that, because (like the saints in heaven) we are still waiting to be raised from the dead. Sometimes (not always) the way we do evangelism suggests that we only need forgiveness from sin. Think about it. How often are people invited to pray and ask forgiveness so they can go to heaven? The focus there is on what the individual must do to avoid the consequence of their sin. You’ve heard the cliché about salvation as fire insurance; this sort of evangelism is what it’s talking about. Again, let me be clear. I’m not saying that we don’t need forgiveness. Of course, we do. I’m not saying that we shouldn’t do evangelism. Of course, we should. What I’m saying is that we need more than forgiveness. We need new life. The one is a means to the other. Forgiveness is a means. New life is the end. That new life looks like growth in holiness now and bodily resurrection later. That’s what God wants. Of course, God has to forgive our sins. He can’t fill a bunch of unforgiven sinners with the beauty of his holy love. But forgiveness is not the goal. Holiness leading to resurrection life is. Think about the death and resurrection of Jesus this way. Christ died and his blood was shed to forgive our sin. He was raised from the dead to launch God’s new creation and give us new life. The death and resurrection of Jesus are two parts of one complete redemptive event. The cross is not enough. That’s why Paul argues in 1 Corinthians 15:12-19 that if Christ hasn’t been raised, faith is a waste of time. We need the new life that comes out of the tomb on Easter morning. And our evangelism should reflect that need. Forgiveness is not the goal of evangelism, and we shouldn’t evangelize as if it were. Our proclamation of the gospel – our Lord Jesus Christ has died and was raised – should present forgiveness of sin as a step that enables us to experience new transformed life in the present and resurrection of the body in the future. There’s no redemption without resurrection because we need more than forgiveness of sin. For more on holiness now and resurrection later, watch this Seven Minute Seminary. Views about heaven abound. Some are helpful. Some are not. When it comes to the Bible, some passages about heaven come with surprises. One of those is the vision of the martyrs in Revelation 6:9-11. Now a martyr is by definition someone who has died and gone to heaven. They loved Jesus more than life, and so they were “slaughtered for the word of God and for the testimony they had given” (Rev 6:9). What’s surprising about this passage is the attitude of the martyrs. Most people think of heaven in terms of eternal joy and bliss. After all, if you’ve entered into the presence of God, what more could you want? Apparently, that isn’t how these martyrs view the situation. They have a complaint. And they’d like it resolved quickly. From their position under the heavenly altar they are said to cry out in a loud voice, “Sovereign Lord, holy and true, how long will it be before you judge and avenge our blood on the inhabitants of the earth?” (Rev 6:10). They’ve died and gone to heaven, but heaven isn’t enough. They want more. So what are they waiting for? To answer that question we need to look more closely at their appeal. Their complaint revolves around the wrong done to them. They did nothing wrong, yet they’ve lost their lives. They were perfectly faithful, but they suffered deep injustice. They died for their faith. And from their perspective, entrance into heaven does nothing to make things right. They want to be vindicated. So they appeal to their “Sovereign” to do something about it, and they’ll be dissatisfied with heaven until he does. But we still haven’t answered the question. If heaven isn’t enough, what is? What does vindication look like for the faithful dead? The answer comes later in Revelation. After Babylon falls to God’s judgment (in Revelation Babylon is a symbol of the forces that oppose God and oppress his people), the martyrs are raised from the dead and participate in Christ’s reign. This is what they’ve been waiting for – the resurrection of the body. After all, if the body is killed, that wrong cannot be made right as long as the body is in the grave. To say they’ve died and gone to heaven is to say their bodies are still dead. The injustice of their deaths can only be rectified by bodily resurrection. Their bodies must rise from the grave for the wrong to be made right. And this is true not only for the martyrs. It is an affront to God any time a creature made in God’s image dies. That’s why the hope for resurrection permeates the New Testament. Heaven is great, but if we’re talking about a disembodied spiritual experience, it’s not the goal. Ultimate redemption only comes with bodily resurrection. Check out this Seven Minute Seminary for more on what the Bible says about life after death. “Pastors minister; theologians seek-and minister-understanding. Ministering understanding of how the Bible addresses real-world issues is the great privilege and responsibility of the pastor theologian. Gerald Hiestand and Todd Wilson have put together a whole ministry team that ministers understanding worth its weight in gold on one of the most socially complicated, politically fraught, yet existentially unavoidable issues of our day or any: human sexuality. In an age where the male/female duality is in danger of becoming extinct, these essays serve as salient reminders of the beauty and mystery of God’s created order: ‘Male and female he created them’ (Gen 1:27). For Gerald Hiestand and Todd Wilson, the ideal of the pastor-scholar is not merely theoretical but intensely practical. The example they set through their Center for Pastor Theologians is an invitation to practice ecclesial theology. So is their new volume of thoughtful essays on God’s beautiful, well-ordered, and yet mysterious purposes for human sexuality-a book that demonstrates the value and relevance of having a community of wise scholars ‘do’ theology in the service of the church. 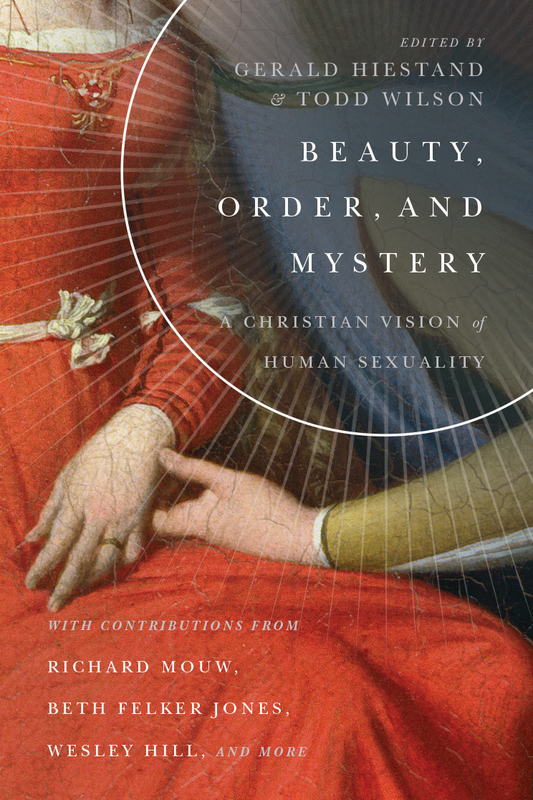 There’s a public conversation about human sexuality happening nearly everywhere today, but this book helpfully locates it right at the intersection of the pastoral and the theological. Beauty, Order, and Mystery provides a remarkably easy introduction to a vexed set of issues because the chapters are approachable and accessible even as they display deep reflection and up-to-date learning. In this particular multitude of counselors there is much wisdom. Here's my favorite moment in Narnia. What's yours?